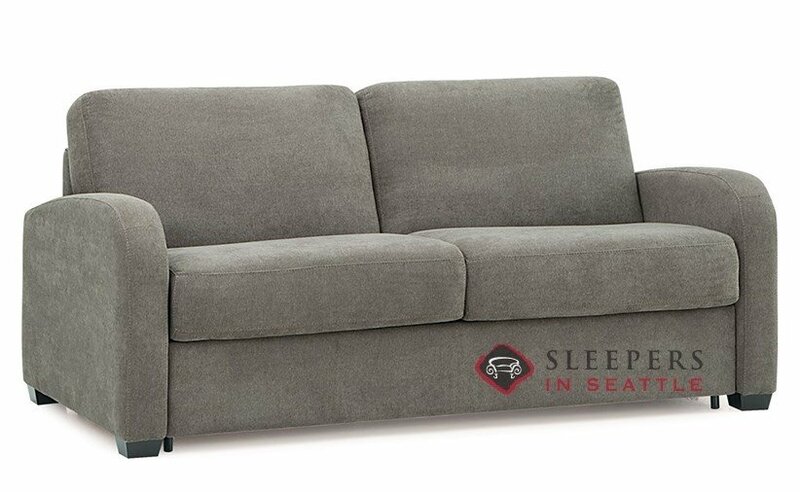 The Daydream My Comfort Full Sleeper Sofa by Palliser offers transitional design at its finest. Marked by slightly sloped arms, plush cushions and an attached pillow-back, the Daydream provides the perfect balance of sophistication and comfort. 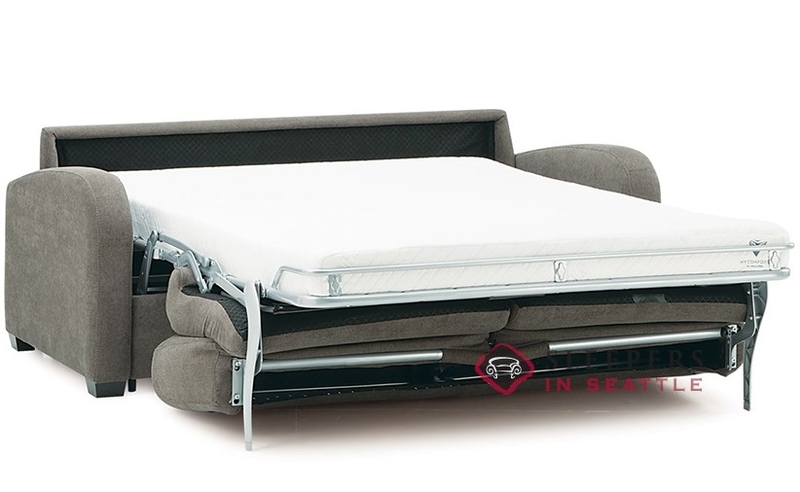 The Daydream comes equipped with an industry leading Full sleeper, ensuring a great night’s rest for up to two guests. The Daydream is fully customizable. 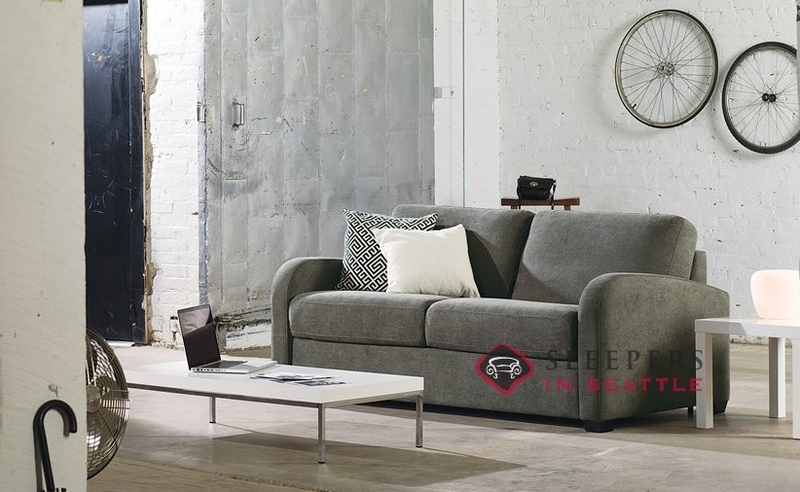 Visit our Design Center to browse through our wide selection of designer fabric upholsteries. Hey, We received our Daydream Sleeper about a month ago, but just put it to the test for the first time this weekend. My in-laws came to visit and were the first people to actually sleep on the thing. They gave the sleeper glowing reviews (and they tend to by hyper-critical of EVERYTHING). So, the sofa passed with flying colors! I'm very happy with the purchase and will be back with any future sleeper needs. 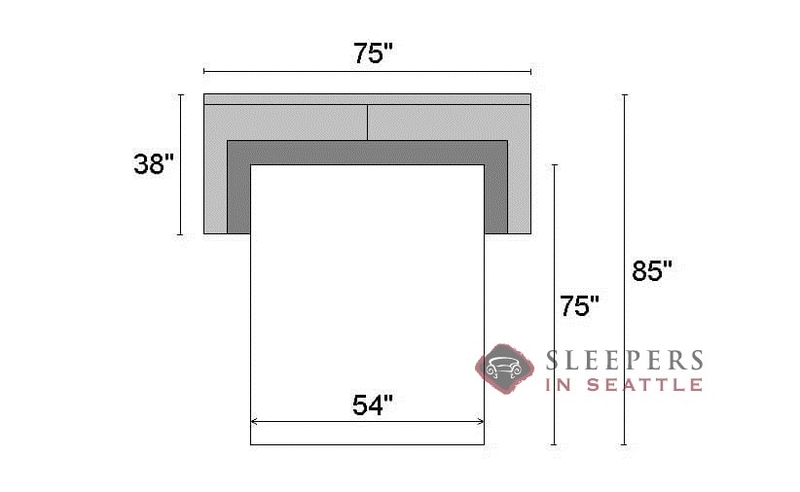 The footprint when open, from the back of the couch to the foot of the bed, is 85". 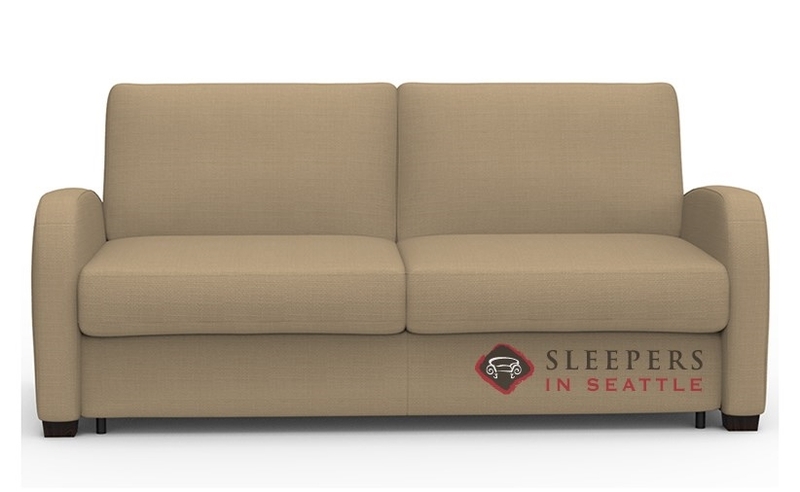 Most sleeper sofas have a footprint of about 90", so this My Comfort option is definitely a space-saver! 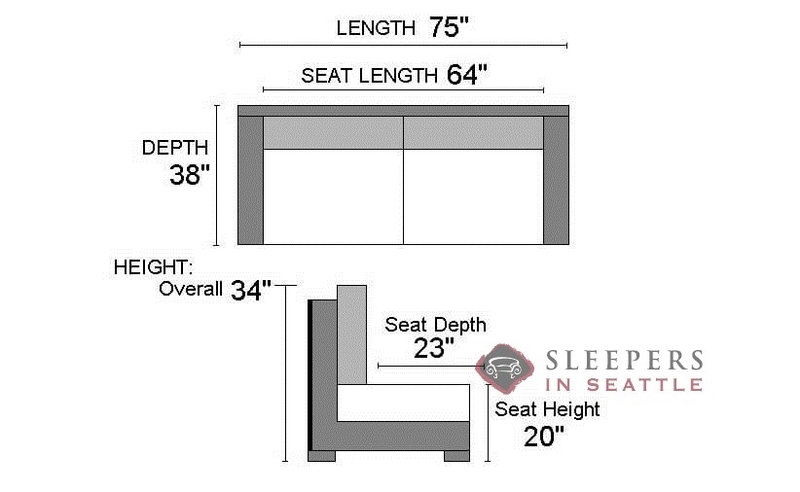 What are the dimensions of the actual mattress on the DayDream full size sleeper? also, the queen? The Full size Daydream My Comfort Sleeper has a 54"W x 75"L mattress. 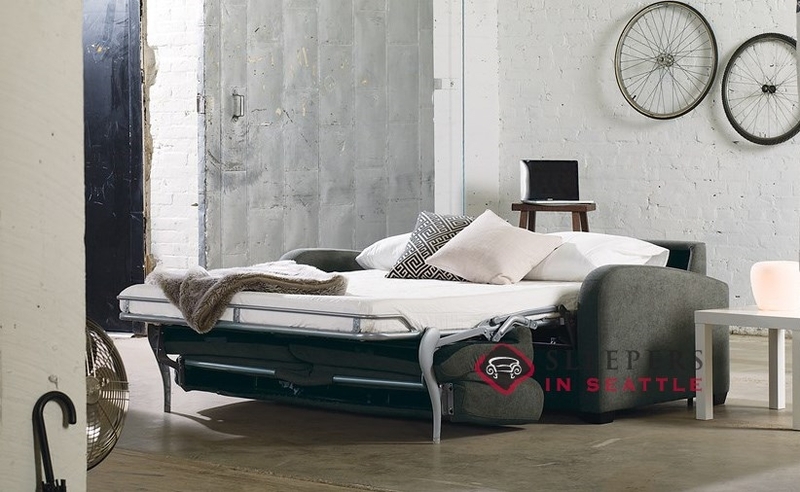 The Queen mattress is 60"W x 75"L.
Hello :) What is the mattress thickness please? The mattress thickness on the Palliser My Comfort Sleepers is about 5" thick.